Have a K53 Tests Question with No Answer? We Answer for You! Want to Be Confident and Safe? Get the 3-Point Guide for K53 Heavy Motor Vehicles You Need! #02 Your Need to Know on Yard and Road Requirements. You Need the K53 Word Guide. Get it Here! Easy and Free. There is always that one question that baffles you. Or worse, you have a question but cannot quite describe it in words. Before a K53 learner’s or driver’s test a million questions rumble through your head. Or a close friend, teenager or work colleague throughs a question about the K53 tests at you and you have no idea how to answer. What if you already have your licence permit or are on the verge of trying out for one and you still don’t have the answer? Why constantly ponder over something if the answer is only a read away? The 9-Point Answer Guide answers frequently asked questions with regards to the K53 Tests. Knowing the answers not only gives you more confidence passing your learner’s or driver’s test but enable you to be an informed driver on the road. The 6-point Answer Guide brings you the answers you need. Don’t only expect the answer. You want to pass the licence test the first time. Don’t let uninformed actions cause you to fail! Are you a barefoot driver and stressing because your K53 driver’s test are tomorrow and you need to wear shoes? Did you know that barefoot driving is legal; even while completing your driver's licence test? Imagine all the unanswered questions you have, or traffic rules you thought are rules but are only mere guidelines to be safer on the road. Take Grandpa Wizen for example. He obtained his Code B driver’s licence in 1953. In 2010 he took his grandchildren on a road trip with his sons’ minibus. Today, Grandpa. Wizen has a criminal record after he got pulled over by a traffic officer. You see, Grandpa Wizen wasn’t aware his class of vehicle on his driver’s licence didn’t correspond with the minibus he was driving. For him to legally drive the minibus, he had to upgrade from a Code B to a Code C1. But how does one upgrade your class of vehicle? And what if you drive an automatic vehicle during you driver's test, are you legally allowed to drive a manual car as well? Whether you are a teenager or adult, read The 9-Point Answer Guide. Don’t just pass your driver’s licence, pass the right code, the right way and ultimately be safe on the road! #01 Q: Are traffic officials excused with regards to obeying road signs and speed mits? A: Some officials are excused from obeying speed limits and road signs. More on this. In the case of a traffic officer or person who is appointed and authorised to drive a fire-fighting vehicle, a fire-fighting response vehicle, a rescue vehicle, an emergency medical response vehicle or an ambulance while performing his or her duties may be excused from obeying speed limits and road signs. #02 Q: If I pass the K53 driving test in an automatic motor vehicle, can I also drive a manual car? A: No. You may only drive the class of vehicle as indicated on your driving licence card. More on this. If you have obtained your driver's licence using an automatic vehicle you can only drive a vehicle with the same transmission. However, if you complete your driver's license test using a manual transmission vehicle, you can legally drive with either a manual or automatic transmission vehicle. View even more info on your light motor vehicles with regards to the K53 test or heavy motorvehicle k53 test requirements. #03 Q: Are you allowed to use a cell phone while driving and are traffic officials excused? A: No. Using a cell phone while driving is illegal, including traffic officials. More on this. No driver, including road officials, are permitted to use any hand-held communication devices while driving. These devices include cell phones, microphones or any other means of communication. Using a device that is in no way being held in your hands or with any other part of your body is allowed. #04 Q: Is it legal to drive barefoot? Is it permitted to try for your driving licence without wearing shoes? A: Yes, it is legal to drive barefoot in South Africa, even when doing your licence test. More on this. No law or regulation in South Africa states that you cannot drive barefoot or do your driver's license without wearing any shoes. #05 Q: How can I upgrade my driving licence code? A: You will first have to do a learner’s permit test before completing the driver’s licence test designed for that code group. More on this. If you have a Code A1 for a motorcycle but need a Code A, you can only upgrade by undertaking both your learner's and driver's licence tests again; this applies for all K53 codes. For more info on K53 Motorcycle tests. 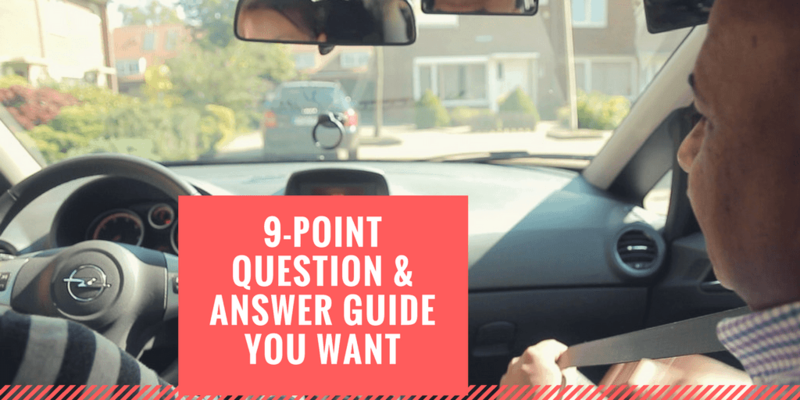 #06 Q: Are driving lessons compulsory for the practical driving test? A: No, it is not a legal requirement to enrol in a driving school to obtain your driver's licence. More on this. It is not yet required by The National Road Traffic Act of South Africa to first take driving lessons before you can make an appointment for, or pass your driver’s licence. However, accepting assistance before going for your driver’s licence will give you an advantage on passing the test. #07 Q: Is it legal for a learner driver to drive on the N1 and N2? A: Yes, a learner driver is permitted to drive on any public road. More on this. If a person has a learning permit he or she can drive on any public road; considering the traffic regulation that he or she is accompanied by a person in the front passenger seat who holds a legal driving licence, similar to the type of vehicle they are driving in. #08 Q: Are learner applicants entitled to see their learner’s licence test results after doing the test? A: No. You are not entitled to see your test afterwards. More on this. It is standard procedure that when you have finished the test, you will not be handed your paper to view which questions you got wrong. You can only ask the examiner which sections (vehicle controls, signs, rules) you have passed or failed. #09 Q: For what does GVM stand? A: GVM means Gross Vehicle Mass. More on this. The GVM of a vehicle refers to the maximum mass including the load it's carrying. Another frequently used term is the GCM, Gross Combination Mass. A vehicle's GCM refers to the maximum mass of a combination of vehicles. It includes both a trailer and possible load. For more relevant k53 terminology. Don’t let that one question baffles you. Know the answer! Your driver’s permit is in your reach. Understand what the K53 tests require and take action accordingly! Go on and practice some free tests offered by K53Tests now. Are you trying out the heavier weights? Know what you need to know while preparing for your K53 heavy vehicle test. In more ways than one, it's quite similar to the K53 light vehicle test. Nonetheless, each test has its unique aspects to consider. Get the info you need to pass, today! What will you learn? Prepared for yard and road requirements? Be aware of instant fails. Be more confident when you know more! Different from light motor vehicles, the licence codes of heavy motor vehicles vary from C1 – EC. See the table below and make sure you apply for the right code. C1 Minibuses, buses, goods vehicles. Vehicles with a total weight between 3500 -18 000kg (excluding the mass of fuel). A trailer with a gross weight of 750kg or less can be attached. C Buses and goods vehicles with the gross mass exceeding 18 000kg. A trailer with a gross mass of 750kg or less can be attached. EC1 A truck-tractor with semi-trailer with gross combination weight 3500 – 18 000kg. Code C1 vehicles with a trailer weighing more than 750kg. EC A truck-tractor with semi-trailer with gross combination mass more than 18 000kg. Code C vehicles with a trailer weighing more than 750kg. *Remember: for each code both a learner’s and licence permit are necessary. Get more info on how to passing your k53 tests. Determine whether you are comfortable with performing the following requirements. Reverse in a straight line. At least one intersection controlled by four-way stop signs. At least four intersections controlled by traffic lights or stop signs. At least two intersections controlled by yield sign(s). At least 65% of the test route shall consist of public roads in an urban area. A right turn shall be made at least at two of the intersections mentioned in 2. At least at two intersections, a crossing of two-way traffic shall be made. Practice beforehand! When you know what to avoid, you can take extra precaution in making the right decision during the test. It doesn’t matter whether you are preparing for, or only assisting someone doing their licence; comprehending the 3-Point Guide can help you or others! B Include vehicles with a gross mass of ±3500kg. With or w/out a trailer with a gross mass of ±750kg or less. EB Truck-tractor with semi-trailer with a gross mass of ±3500kg or less. Code B vehicles with a trailer weighing more than 750kg. *Remember: for each of these codes both a learner’s and licence permit are necessary. See more info on passing your k53 tests. Before start practising the practical part of the driver's licence make sure you know what is required! It will help you focus on what is necessary. The actual driver's test is divided in a yard and road test respectively. The 3-Point Guide enables you to purposefully practise on what is necessary for the K53 light motor vehicle test. Knowing what code you applied for; understanding the yard and road requirements during the test, and remembering what instant fails to avoid, will help you obtain your driver's licence quick and with confidence. Determine the codes: make sure you apply for the right one. Instant fails to avoid: know what to avoid. Licence codes stipulate the means of transportation you are legally qualified to drive. In the case of a motorcycle, there are only two classes of codes, A1 and A. For K53 code specifications see the table below. Before applying for a motorcycle test, determine what each code offers and which code will benefit you the best. A1 125 cc or less, with or w/out a sidecar. A More than 125 ccs, with or w/out a sidecar. During the motorcycle test, you will be examined only on yard manoeuvres. No road test is required. Practice and make sure you can perform the yard requirements as outlined below. Terms: important to know words when preparing for your K53 learner or driver test. Abbreviations: frequently used abbreviations during the K53 driver’s test. See below commonly used words that might come in handy when you need to apply for a K53 test. Licence Code: These codes determine the means of transportation you are legally qualified to drive. Licence codes are divided into three main groups: Light Motor Vehicles, Heavy Motor Vehicles and Motorcycles. SAIDI: The Southern African Institute of Driving Instructors. GVM: Gross Vehicle Mass is the total mass including a load of your vehicle. The total weight is specified by the vehicle manufacturer or a registering authority. GCM: Gross Combination Mass is the maximum weight of a combination of vehicles: together with a trailer and load. This mass is specified by the vehicle manufacturer or a registering authority. Tare Weight: The total mass of a vehicle, including a spare wheel and other permanent attachments. *Does not include fuel in the tank. Semi-trailer: A trailer with no front hinge with up to 15% of its tare weight made up by the attached vehicle. Need more information on K53 Tests? It is within your reach, start passing your k53 tests. When you are almost ready for your driver’s test, make sure you know the commonly used abbreviations on your examination form. There are varies abbreviations when completing your K53 test. For more, click here. Don’t be left speechless, know your terms using the quick and easy K53 Word Guide. Next time others don't understand a term, you will be able to assist them. Be educated when applying for your K53 Test. Comprehend relevant terminology and know what the abbreviations on your examination form stand for. It is your choice to be a Grandpa Wizen. Don't let being uninformed get in your way of obtaining your K53 learner's and driver's licence. Know how to upgrade the code of your licence; understand the traffic regulations; and differentiate between what is legally required and not. You can distinguish between passing your licence, and passing your licence safe and informed! Take on the heavier weights with more confidence! Know what obtaining your K53 Heavy Motor Vehicle requires: apply for the correct code; know what to expect during the yard and road test, and avoid instant fails. I'm passionate to help people pass their learners tests first time. We need to improve the safety on our roads and this is the foundation to do that. Go through our tests and ensure that you pass your learners first time! When I lived in South Africa, someone told me what the longest road in Africa is. It’s not the road from Cairo to Capetown, it’s the way from your head to your heart, and from there to the here and now. Be Social & Follow Us!